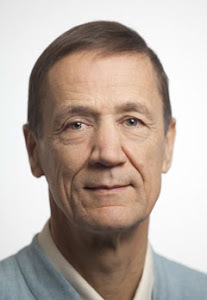 Ian Gawler: Out on a Limb: Dementia-and-Alzheimer’s-Disease-easily-explained-Can-we-prevent-or-cure-them? Worried about dementia or Alzheimer’s? In a family currently affected by these potentially devastating diseases? Concerned for your own old age and your capacity to remember, to think and to emote? Good news. They say that knowledge dispels fear. A growing body of evidence concludes these conditions are largely lifestyle related chronic degenerative diseases that may well be preventable through a range of measures. The farmer does not wait to find out. He would not have lasted very long. Dementia, also known as senility, is a broad category of brain diseases that cause a long term and often gradual decrease in the ability to think and remember that is great enough to affect a person's daily functioning. Other common symptoms include problems with emotional expression, language, and a decrease in motivation. 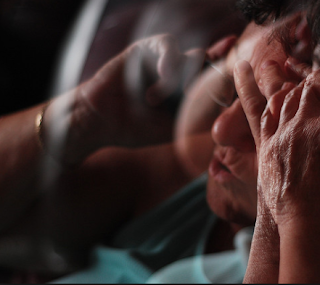 The most common type of dementia is Alzheimer’s disease which makes up 50% to 70% of cases. Other common types include vascular dementia (25%), dementia associated with Lewy bodies (15%), alcohol related dementia (unclear), fronto-temporal dementia (rare) and mixed dementia (10%). First be clear, Alzheimer's disease is not a normal part of aging. Alzheimer's disease is an acquired, progressive, degenerative disorder that attacks the brain's nerve cells, or neurons, resulting in loss of memory, thinking and language skills, and behavioural changes. Alzheimer's disease is associated with 2 types of abnormal lesions - plaques and tangles. 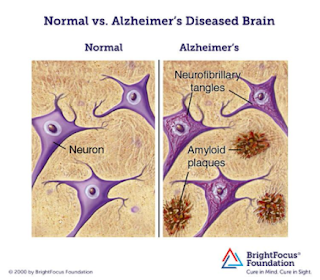 Plaques or to be more specific, Beta-amyloid plaques, are sticky clumps of protein fragments and cellular material that form outside and around neurons. Tangles, or neurofibrillary tangles, are insoluble twisted fibers composed largely of the protein that builds up inside nerve cells. Although these 2 lesions are hallmarks of the disease, scientists are unclear whether they cause it or a by-product of it. The most common symptoms are short-term memory loss and word-finding difficulties. People with Alzheimer's disease also have trouble with visual-spatial areas (for example, they may begin to get lost often), reasoning, judgment, and insight. Insight refers to whether or not the person realizes they have memory problems. Common early symptoms include repetition, getting lost, difficulties keeping track of bills, problems with cooking, forgetting to take medication, and word-finding problems. The part of the brain most affected by Alzheimer's is the hippocampus. Other parts of the brain that show shrinking (atrophy) include the temporal and parietal lobes. However, the brain shrinkage in Alzheimer's disease is very variable, and a brain scan cannot actually make the diagnosis (but may eliminate other causes). The relationship between undergoing anaesthesia and Alzheimer's disease is unclear. This type of dementia is caused by disease or injury affecting the blood supply to the brain, typically involving a series of minor strokes. Symptoms will depend upon where the strokes have occurred and whether the vessels involved are large or small. Multiple injuries can cause progressive dementia over time, while a single injury located in a critical area critical (i.e. hippocampus, thalamus) can lead to sudden cognitive decline. On scans of the brain, a person with vascular dementia may show evidence of multiple strokes of different sizes in various locations. So what actually is a stroke? A stroke happens when blood supply to the brain via an artery is interrupted. This occurs most commonly when the artery is blocked (ischaemic stroke) or much less commonly bursts (haemorrhagic stroke). The resulting area of brain damage is called a cerebral infarct, or more simply, just an infarct. A major stroke occurs when the blood flow in a large vessel in the brain is suddenly and permanently cut off. 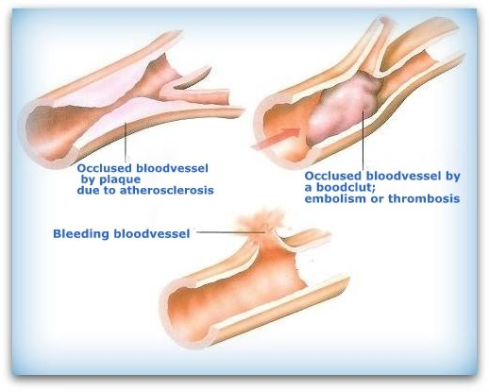 Most often this happens when the vessel has become narrower and then is blocked by a clot. Much less often it is because the vessel bursts and bleeds into the brain. Minor strokes are when the same processes occur on a smaller scale. Vascular dementia can differ according to the cause of the damage, the type of stroke involved and the part of the brain that is affected. The different types of vascular dementia have some symptoms in common and some symptoms that differ. Their symptoms tend to progress in different ways. After a major stroke, the sudden interruption in the blood supply starves the brain of oxygen and leads to the death of a large volume of brain tissue. However, not everyone who has a stroke will develop vascular dementia, but about 20% of people who have a stroke do develop post-stroke dementia within the following 6 months. A person who has one major stroke is then at increased risk of having further strokes. If this happens, the risk of developing dementia is higher. This type of vascular dementia is caused by smaller strokes that commonly cause damage to the cortex of the brain, the area associated with learning, memory and language. These types of stroke may be so small that the person does not notice any symptoms when they occur. Alternatively, the symptoms may only be temporary - lasting perhaps a few minutes - because the blockage clears itself. If symptoms last for less than 24 hours, it is called a 'mini-stroke' or transient ischaemic attack (TIA). A TIA may mistakenly be dismissed as a 'funny turn'. If such a stroke interrupts the blood supply for more than a few minutes, an infarct will result. Sometimes just one infarct forms in an important part of the brain and this causes dementia (known as single-infarct dementia). Much more often, a series of small strokes over a period of weeks or months lead to a number of infarcts spread around the brain. Dementia in this case (known as multi-infarct dementia) is caused by the total damage from all the infarcts together. A person with Multi-infarct dementia is likely to have better insight in the early stages than people with Alzheimer's disease, and parts of their personality may remain relatively intact for longer. Symptoms may include severe depression, mood swings and epilepsy. This was thought to be rare, but is now being reassessed, and may in fact be relatively common. Once considered rare, is now thought to be the most common type of vascular dementia. Subcortical vascular dementia is caused by diseases of the very small blood vessels that causes infarcts to tissue that lies deep in the brain - the “white matter”. These small vessels develop thick walls and become stiff and twisted, meaning that blood flow through them is reduced. 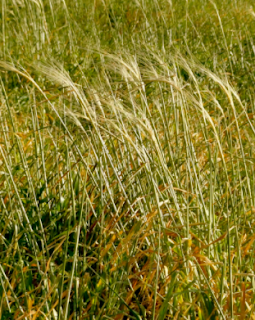 It is caused by high blood pressure, thickening of the arteries and inadequate blood flow. Small vessel disease often damages the bundles of nerve fibres that carry signals around the brain, known as white matter. It can also cause small infarcts near the base of the brain. Small vessel disease develops much deeper in the brain than the damage caused by many strokes. This means many of the symptoms of subcortical vascular dementia are different from those of stroke-related dementia. Common symptoms include slowness and lethargy, difficulty walking, emotional ups and downs and lack of bladder control early in the course of the disease. 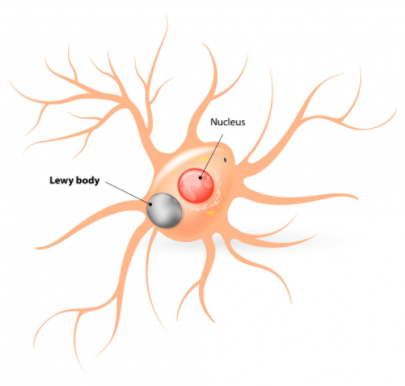 Lewy body disease is caused by the degeneration and death of nerve cells in the brain. The name comes from the presence of abnormal spherical structures, called Lewy bodies, which develop inside nerve cells. It is thought that these may contribute to the death of the brain cells. Lewy body disease is similar to Alzheimer's disease in many ways, and in the past it has sometimes been difficult to distinguish the two. It has only recently been accepted as a disease in its own right. It can occur by itself or together with Alzheimer's disease and/or Vascular dementia. It may be hard to distinguish Lewy body disease from Parkinson's disease, and some people with Parkinson's disease develop a dementia that is similar to that seen in Lewy body disease. The symptoms of dementia with Lewy body disease include difficulty with concentration and attention, extreme confusion and difficulties judging distances, often resulting in falls. • Fluctuation in mental state so that the person may be lucid and clear at one time and confused, disoriented and bewildered at other times. Typically this fluctuation occurs over a period of hours or even minutes and is not due to any underlying acute physical illness. Alcohol related dementia can affect men and women of any age. It is currently unclear as to whether alcohol has a direct toxic effect on the brain cells (neurotoxicity hypothesis), or whether the damage is due to lack of thiamine (or vitamin B1). Nutritional problems, which often accompany consistent or episodic heavy use of alcohol, are thought to be contributing factors. • Decreased initiative and spontaneity. Anyone who drinks excessive amounts of alcohol over a period of years may get alcohol related dementia. Males who drink more than six standard alcoholic drinks a day, and women who drink more than four, seem to be at increased risk of developing alcohol related dementia. 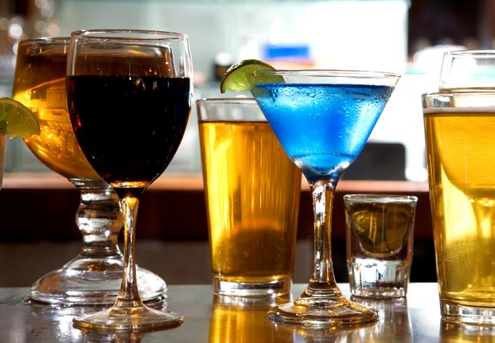 The risk clearly increases for people who drink high levels of alcohol on a regular basis. The National Health & Medical Research Council of Australia recommends that for health reasons related to the prevention of brain and liver damage adult males should drink no more than four standard drinks per day and adult females should drink no more than two standard drinks per day. NOTE : For cancer, there is no really safe limit. Some people who drink at high levels do not develop alcohol related dementia, but it is not currently possible to understand and predict who will and who will not develop alcohol related dementia. Some people who develop alcohol related dementia might also show some degree of recovery over time if they reduce alcohol intake to safe levels or abstain from alcohol and maintain good health. Fronto-temporal dementia (FTD) is one of the less common types of dementia. The term covers a wide range of different conditions. FTD occurs when nerve cells in the frontal and/or temporal lobes of the brain die, and the pathways that connect the lobes change. Some of the chemical messengers that transmit signals between nerve cells are also lost. Over time, as more and more nerve cells die, the brain tissue in the frontal and temporal lobes shrinks. The frontal lobes of the brain, found behind the forehead, deal with behaviour, problem solving, planning, speech and the control of emotions. Symptoms of FTD include changes in personality and behaviour, and difficulties with language. These symptoms are different from the memory loss often associated with more common types of dementia, such as Alzheimer’s disease. As FTD is a less common form of dementia, many people (including some health professionals) may not have heard of it. At least 10 per cent of people with dementia are diagnosed with mixed dementia. This generally means that both Alzheimer's disease and vascular disease are thought to have caused the dementia. The symptoms of mixed dementia may be similar to those of either Alzheimer's disease or vascular dementia, or they may be a combination of the two. • Loss of ability to perform everyday tasks. Next post we look into what causes dementia and where the prospects for prevention and cure dwell; and a hint, dementia being a disease closely related to lifestyle, all the hope seems to rest with a healthy, therapeutic lifestyle. We have had many requests to present a meditation retreat in Queensland, so this is it. This retreat will focus on integrating mindfulness and meditation into daily life. I know when I first started, meditation was something I did for a few minutes (or hours) every day; but at first, I then went back to my day as if nothing much had happened. The real benefit of these practices is in how they inform our daily life, so this retreat will be very practical. We will practice mindfulness and meditation together formally, and then use the rest of our time to bring the qualities of the practice into our daily experience – in a way that we can take them home and maintain them. My sense is that for many this could well be life changing. We are fortunate to be able to use the facilities of the Chenrezig Institute – a purpose built Retreat Centre in the hills back of the Sunshine Coast. In this training we use a fully documented manual to learn how to teach 2 4 week programs one on guided imagery; the other contemplation. These training have been booking out, and like all our retreats, it is wise to register early. Labels: Alzheimers explained simply, Dementia explained simply, Natural prevention of Alzheimer's, Natural prevention of dementia, What is dementia? Great to get some clarity on this very current issue for many people in our culture. Thanks Ian! Thanks Glen; good to know it worked for you..